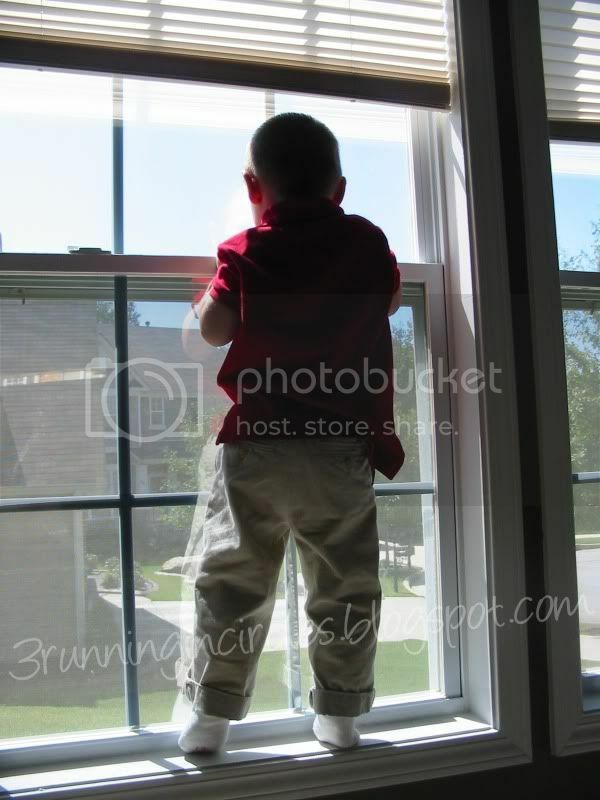 Here's Little Bitty standing on his stool (potty seat with the lid down) next to the window. 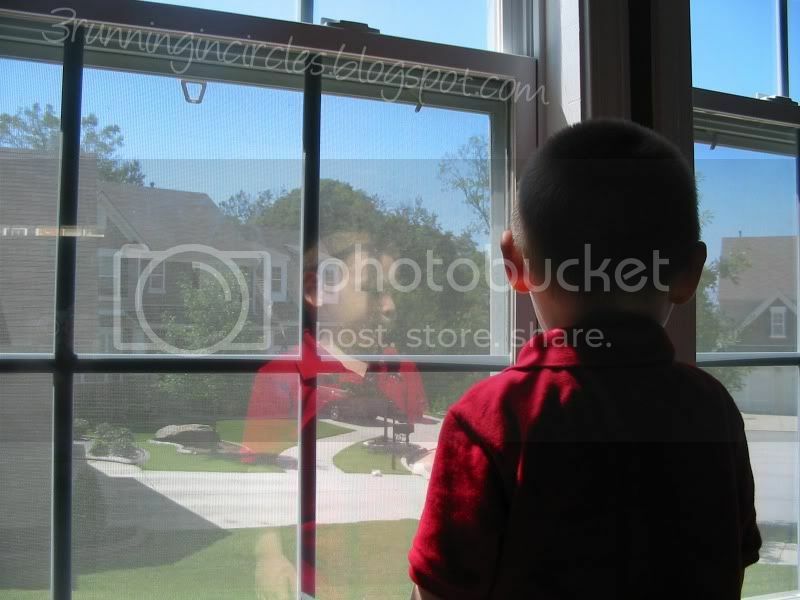 I love the expression on his face in the reflection. 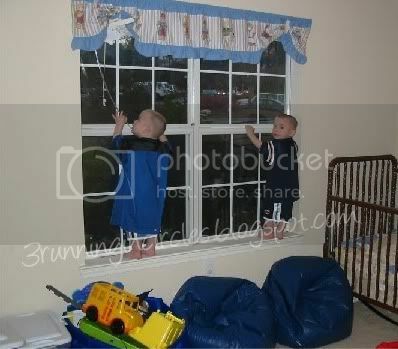 For a great post on not only standing but dancing on windowsills, visit Rhema's Hope. Click here for more Special Exposure Wednesday, and click here, here, and here, for more Wordless Wednesday. That is too cute! I love the first photo because the reflection is great, but the others are cute too! Nice captures! Can someone explain the fascination with the sills? Our house is pretty old so I try very hard to discourage it but they seem to be drawn! You have a great photography gift! Thanks for sharing. Love the reflection! All are great pictures! Every shot was adorable. :) You do great at capturing the moments! You sure have your hands full with those little monkeys! awesome shots! The first one was fantastic!!! ahh...i see my child has rubbed off onto yours. Oh, the places they'll go! Great pictures! What adorable photos! It looks like they can keep you on your toes. Very sweet captures! They're so cute. All of them. Clinging up there like little monkeys. Kids always amaze me with their climbing abilities and fearlessness. Wow, this had me laughing hard. I had to show my husband because this looks like a picture from right out of our house! Those are great pictures. I'm impressed not only that you got similar pictures, but you remembered you had them! I was going to say that also - the reflection in the first pic is amazing. But those pictures make me a nervous wreck!!!! !